Need to get securely and privately connected with your colleagues and clients? Need to securely manage, share, and talk about your documents? Need to put communications and document management back under the control of your front desk? Need to get on top of world-class healthcare management? An enterprise management platform that meets the needs of the most demanding and sophisticated medical and non-clinical organisations. A keystone contact and social networking engine that links users with enterprises, fellow users and other platforms. A comprehensive communications platform with industrial-strength security. The knowledge-and-community base for all Putty products and packages. An open-systems based computer language - the backbone of the entire suite of PuttyHealth™ systems. PuttyFree™ is a system that includes a range of 'freemium' services. A simple, streamlined, and safe way to share documents online. A gateway between medical service providers and billing recyclers. A gateway allowing medical providers to exchange their deidentified data. A gateway between clinicians and pathology providers. A gateway between medical providers, radiology and diagnostic imaging services. A gateway enabling the secure and audited sharing of prescription and drug dispensing data. Claydata are more than just a software engineering house designing, coding, and testing health IT and EMR solutions. We are, first and foremost, business logic experts who are able to deliver custom health IT solutions that are responsive to our clients’ business needs. While we have a suite of off-the-shelf products that many clients find immediately improve efficiencies and output, we prefer to consult closely with our clients in order to understand how their business works. The next step is to model these workflows and customise the functionality of our software accordingly. That is, when we work closely with clients, we engineer a responsive business logic into our core software products in order to deliver the best solution possible. This model of software development that leverages close collaboration between the team at Claydata and out clients is best demonstrated by our relationship with the North Shore Medical Group (NSMG). In fact, Claydata and NSMG can almost conceived of as a hybrid entity: Claydata develops health IT solutions, which are immediately tested and tested in day-to-day use by NSMG’s clinics. In turn, clinicians and medical administrators submit feedback directly to Claydata. This tightly-knit cycle of product development, feedback, and improvement is a direct parallel of the collaborative approach we take when working with a client to customise a health IT solution. Our primary product, a streamlined offshoot of our PuttyEnterprise software suite that forms the core for most of our software customisation, is eClinic. 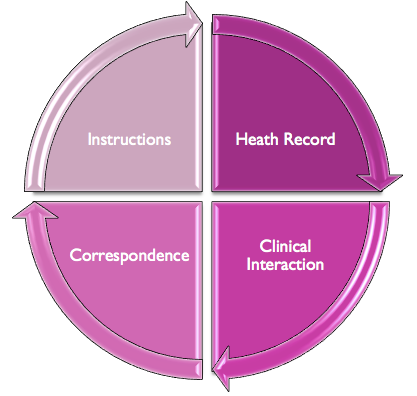 Off-the-shelf, eClinic is a compact clinical practice tool that captures the majority of clinicians’ workflows (see the chart below, "What does eClinic do?"). Basically, eClinic is a clinical data input tool that is linked to broader electronic medical records (EMR) or electronic health records (EHR) and practice management systems (PMS). 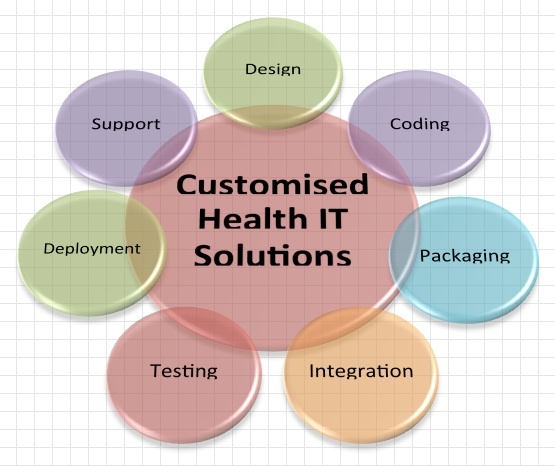 However, eClinic’s modular, flexible, and interoperable architecture means that specialists of all stripes, or organisations of any scale, can easily engineer their ideal business logic requirements into a custom version of the software that can interact with existing solutions and is future-proofed against the rapidly evolving health IT environment. Additional products include PuttyConnect, a telehealth platform which connects health professionals and medical researchers with patients and participants via online chat and audio/video-conferencing facilities, and PuttyGateways, which allow users to communicate with laboratories, send and receive scripts and medical data such as DICOM, send and receive notifications, and leverage file management services. "This is the most powerful research tool for my cancer patients!" "Teleconferencing is simple, safe and secure. This means I can provide specialist medical services to any patient across the country and especially in rural and remote areas." "In all of my years as a specialist interventional phlebologist I have never seen a system so flexible and powerful. I love it because it simply forms at your fingertips." "I love using my iPad, iPhone and Macbook laptops and PuttyHealth works perfectly with all of these systems. My offices are installed with PC's and Linux and again PuttyHealth is fully integrated and functional on all platforms."